With only a few hours left until Apple’s press-conference at WWDC, let´s go over the latest info about the much-desired iPhone successor. The news comes from Daring Fireball’s John Gruber, who has also given details on the new iPhone before. It seems he still believes Apple’s doubling both CPU speed and amount of RAM. He also suggests the device might be called the iPhone 3GS and that video camera will be a major aspect. As for the pricing, here is the prediction - $199 for the 16GB and $299 for the 32GB one. 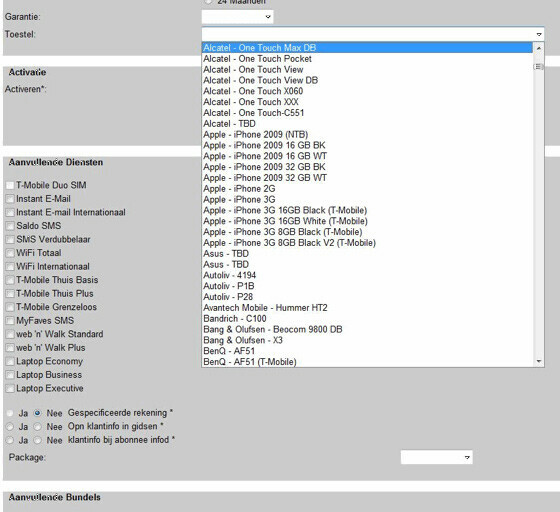 The other piece of news today is that an image of T-Mobile´s (Netherlands) phone catalogue has been leaked. It clearly shows a make, named the iPhone 2009, coming in 16GB and 32GB versions. Check it out! New iPhone to offer video chat? Apple's new model, iPhone Video, to be introduced and launched on Monday? wait... iphone going to tmobile? ?